Sunset World Resorts & Vacation Experiences has backed up its position as one of the leading vacation clubs in the Mexican Caribbean by earning an array of Gold Crown awards from RCI. 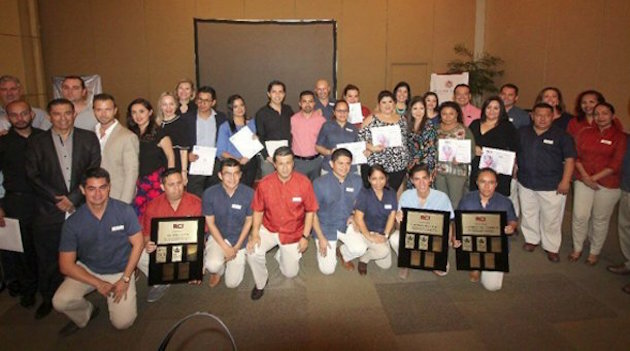 The 2018 awards were presented at a ceremony held at Hacienda Tres Ríos, and led by Orlando Arroyo, CEO of Sunset World. Sunset World Resorts & Vacation Experiences. The resorts that received awards include Hacienda Tres Rios Resort, Spa & Nature Park, Sunset Royal Beach Resort – the only resort in Cancun and the Riviera Maya that has received this award for 26 consecutive years – Sunset Marina Resort & Yacht Club and Sunset Fishermen Beach Resort, which this year also received the Excellence in Service and Premier All Inclusive awards. Gold Crown awards are given by RCI to its affiliate developments based on positive evaluations from its partners and guests. RCI members who visit the properties answer a satisfaction survey based on five quality criteria upon returning home. Categories include registration and exit areas and processes, the quality of hospitality and attention, employee service and professionalism, variety and quality of food, maintenance of the facilities and finally, cleanliness of the rooms. RCI also recognised vacation membership salespeople with Top Seller, Alpha and Diamond awards.